The Wedding Quilt is now on display in the window at FYCreatives, Church Street until Monday 11th. If you get a chance, please come and take a look at some of the beautiful work which has gone into the individual squares. 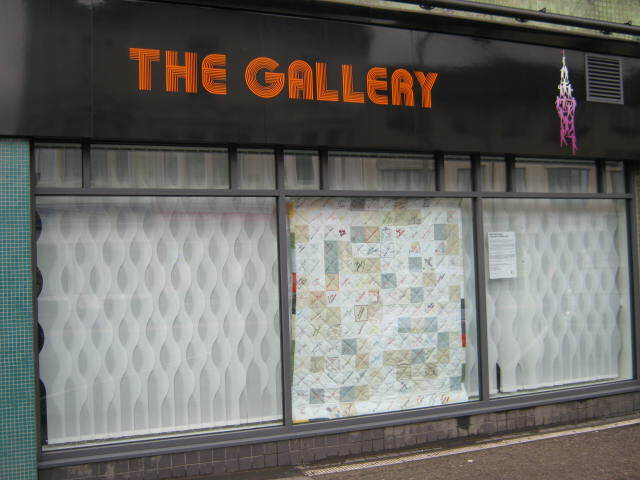 Blackpool Council is supporting professional artists to exhibit their work in empty shops in the town centre of Blackpool. The programme is managed by Blackpool's Arts Service and supported by the Arts Council through their Art in Empty Spaces initiative with funding from the Arts Lottery and the Department for Communities and Local Government ‘Town Centres’ Initiative. Click here to subscribe to Wedding Quilt.